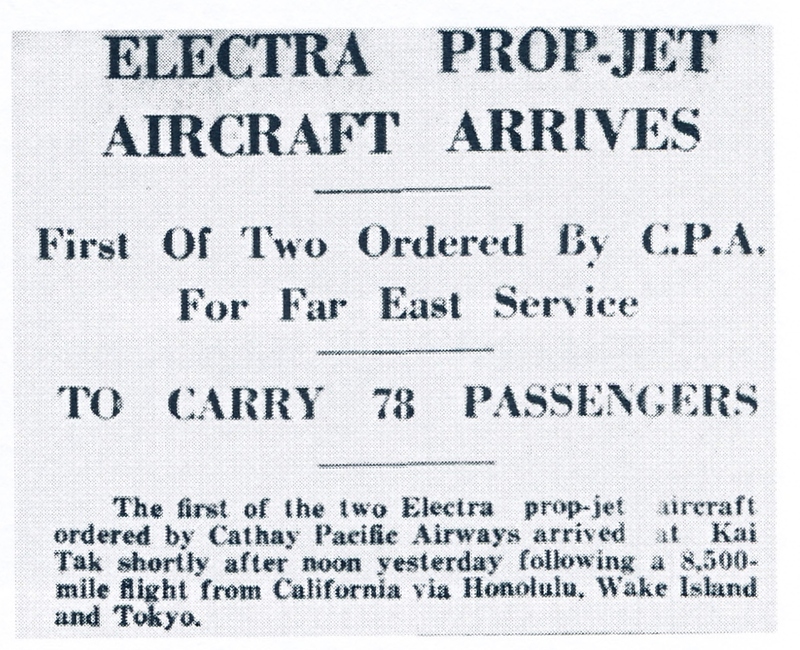 Several Air Burma pilots migrated to Cathay Pacific Airways. 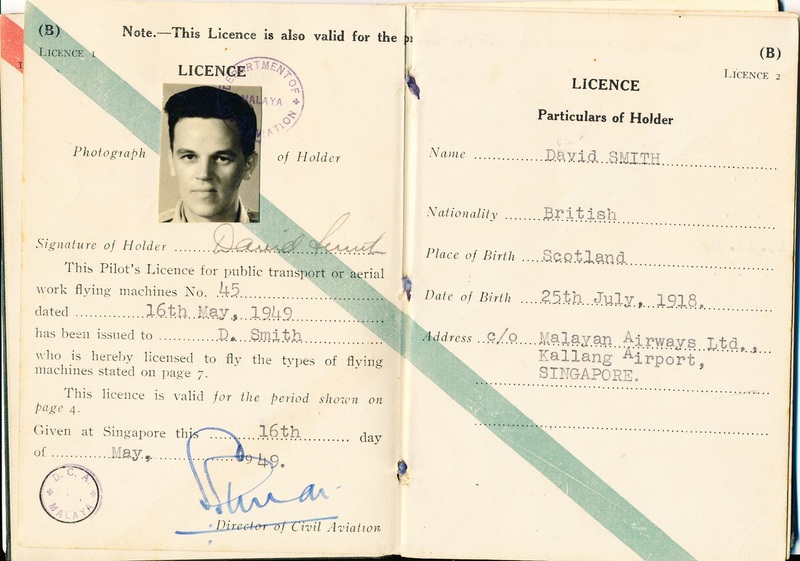 The most notable was Captain David Smith. 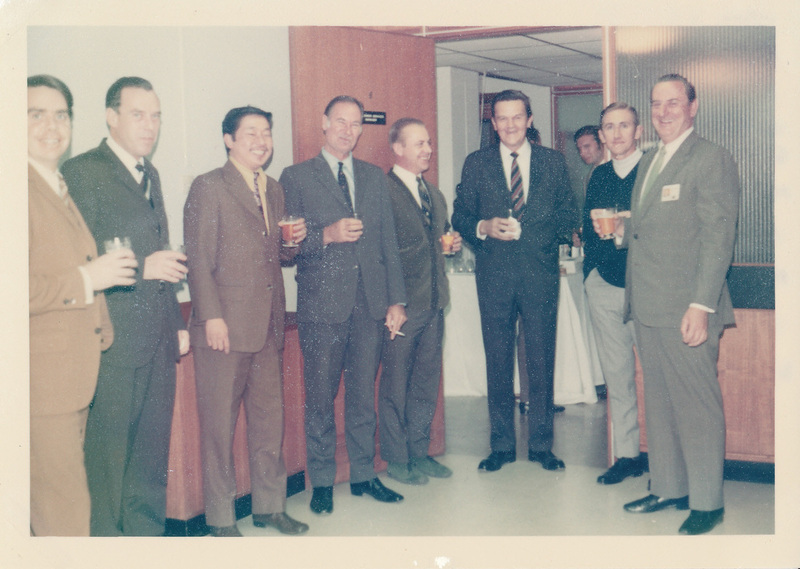 Dave became the first Operations Manager to be honoured with a seat on Cathay Pacific’s Board of Directors. 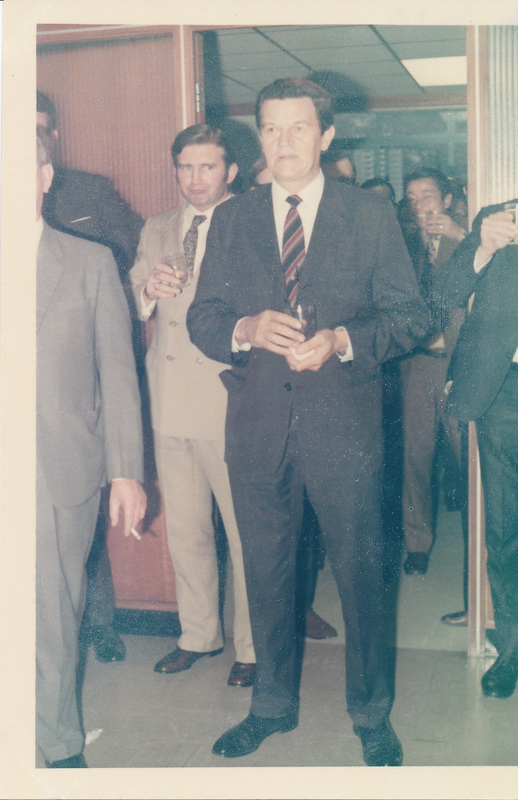 "Captain David Smith, an acquaintance of my Burma days, took his seat on the Cathay Pacific Board of Directors on 5 March 1965. 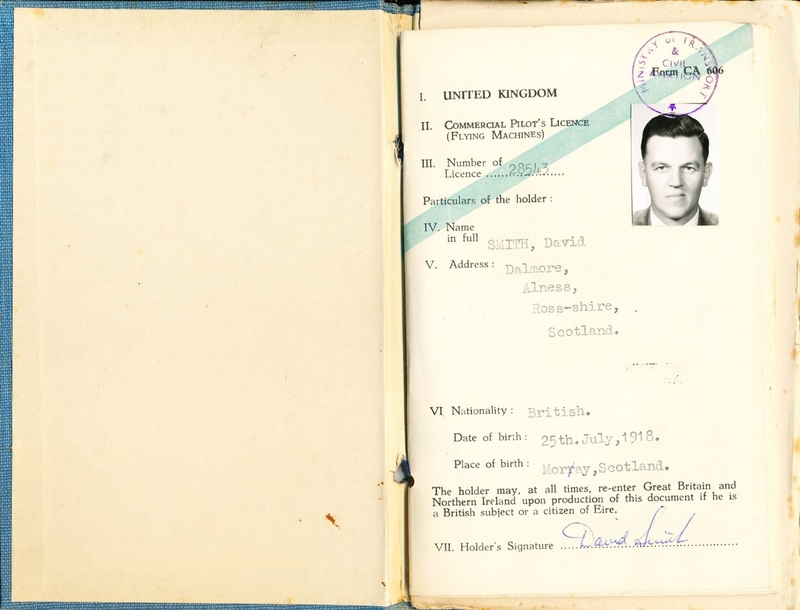 Dave was born in Morayshire in the Highlands of Scotland in 1918. 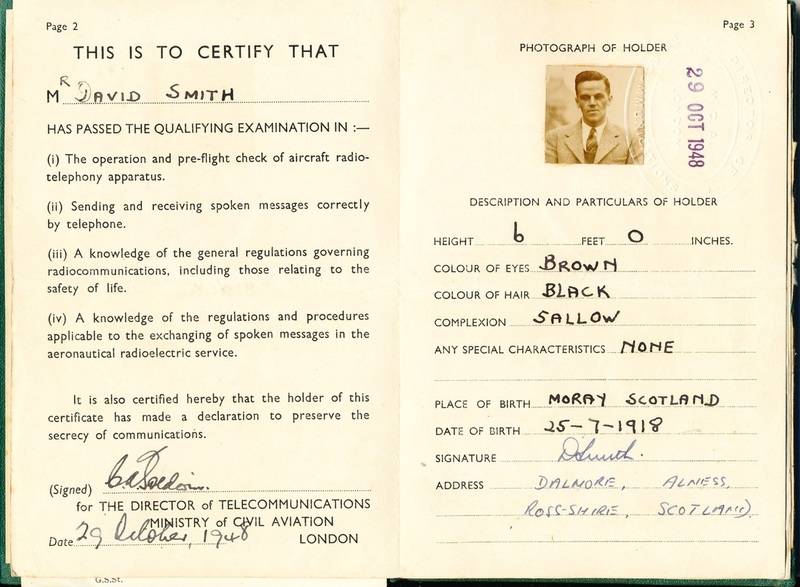 He served with distinction in the Pathfinder Force of RAF Bomber Command during World War 11 flying the mighty de Havilland Mosquito. 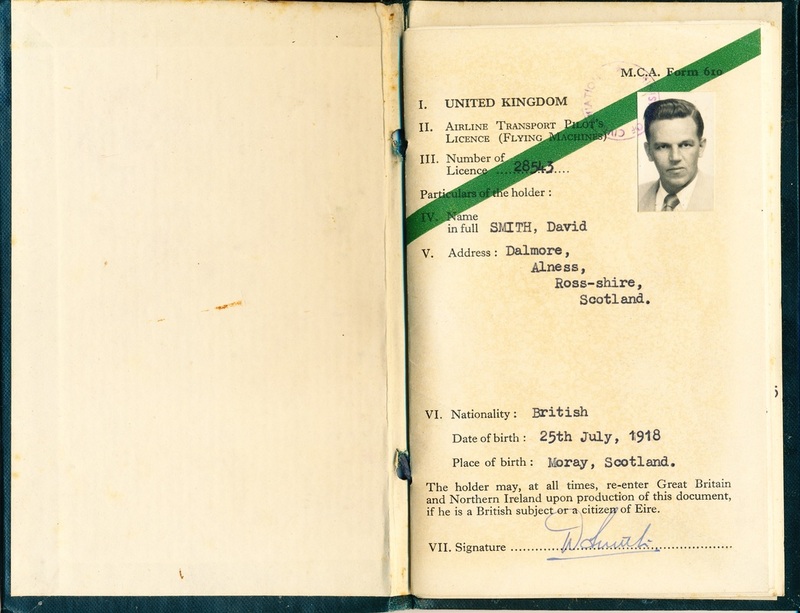 Following his demobilisation he worked on a vast mapping project. 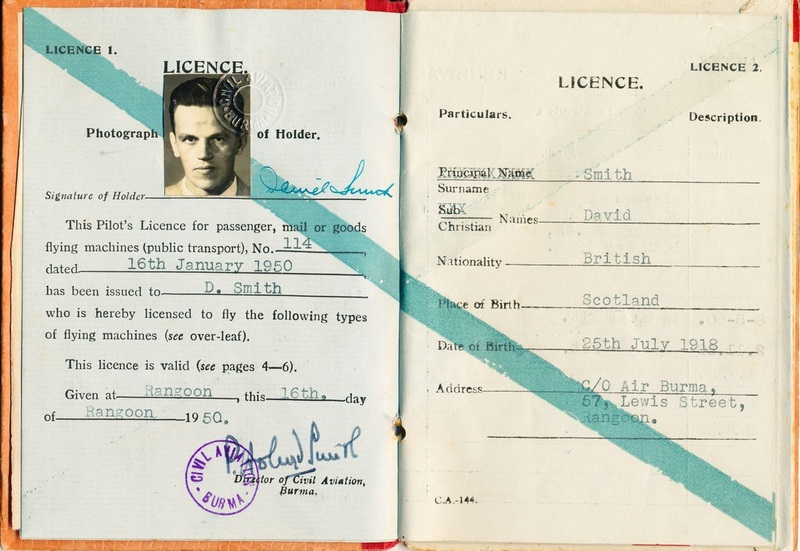 In 1949 he took part in the adventure blithely called the Berlin airlift. 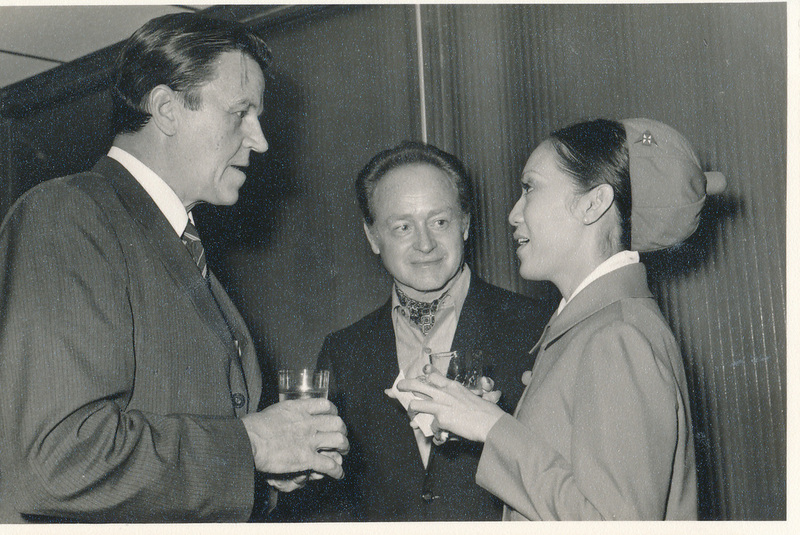 When Air Burma liquidated in January 1951 Cathay Pacific’s Operations Manager Pat Moore hired him without hesitation. 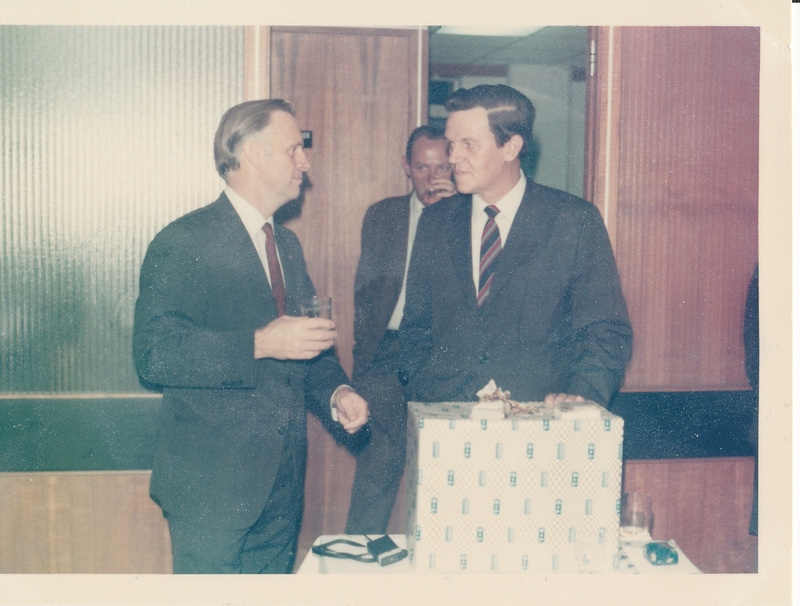 Captain Dave Smith retired from Cathay Pacific on November 30, 1971, when we lost an understanding advocate." Harry de Leuil makes some observations leading to the Air Burma’s entry into the 'charter muddle'. 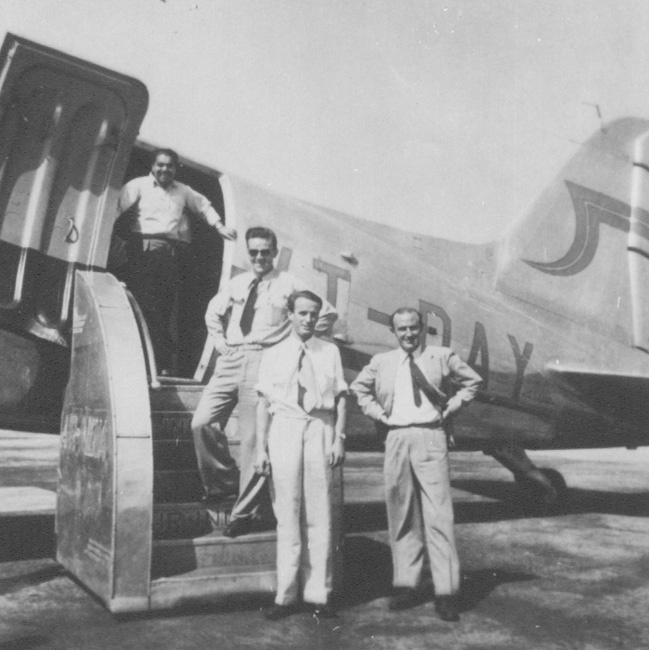 'Cathay Pacific’s choice of Avro Anson planes for the Burma operation was a retrograde step. Their wooden construction was a maintenance nightmare in its humid weather. Further, their restrictive payloads spelt an accounting disaster. Their suspension brought to Burma the splendid Douglas DC-3s. 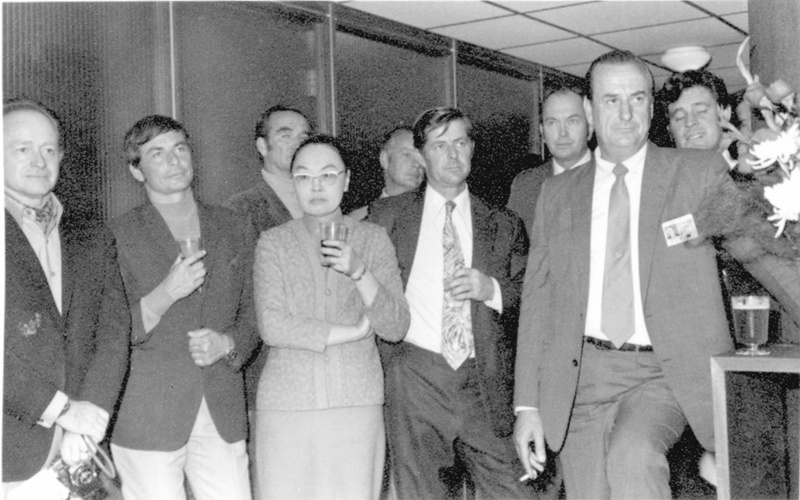 That, in turn brought Cathay Pacific out of the red and their survival as an airline. Then the general manager of U.B.A was assigning all Government charters. Yet, it transpired UBA was a mere vassal without power. The foreign operators had the final say of where they went, what they carried and what they charged. no restrictions on where such a company could go, what it could carry and a set cost per mile scale. 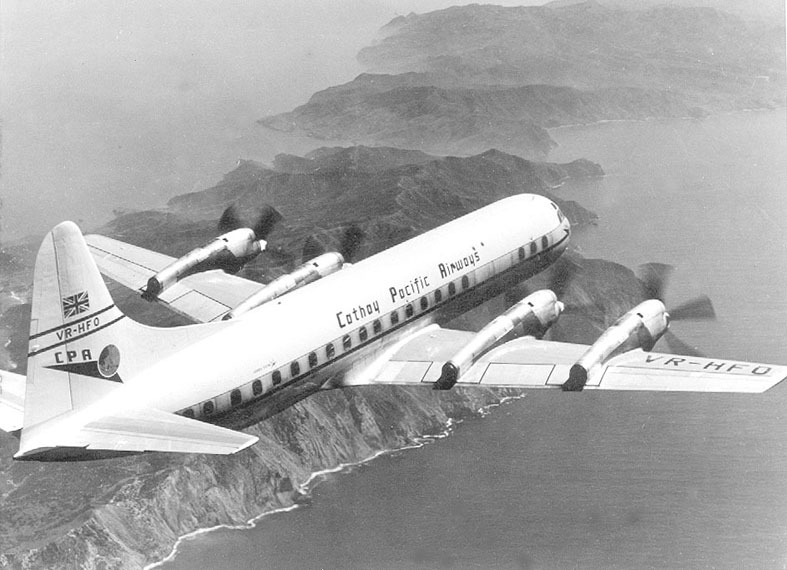 Meanwhile, Cathay Pacific convinced U Sway Tin of the value of Catalina planes. This type could supply isolated towns with no landing ground. They could use the nearest stretch of water! 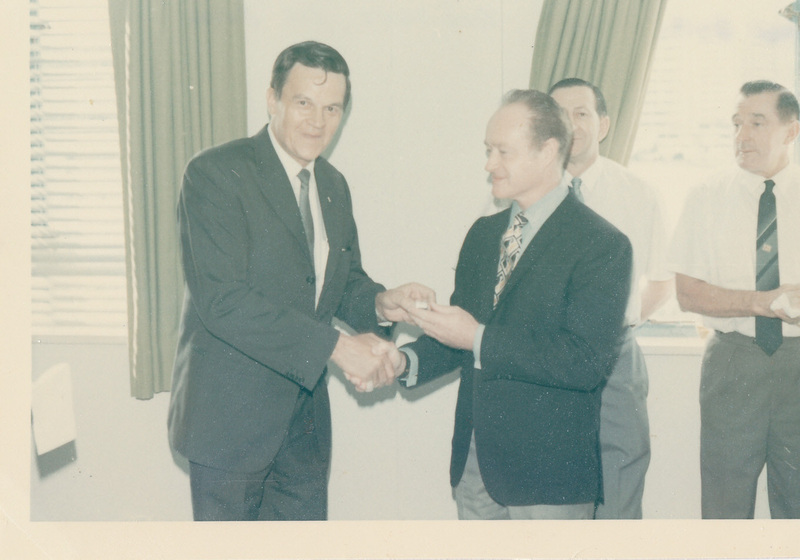 U Sway Tin invited Roy Farrell to bring in his personal company Amphibian Airways. Cathay business. Sway would compromise no longer. I went to Rangoon to sort things out. I sacked Peccorini and following a full clean up appointed Captain Jim Harper as Rangoon manager. Under Peccorini Harper was in charge of flight standards. rights. Within a few days he had rights to Bangkok. This was an amusing situation for then Jimmy Bo Setkya had just one plane. 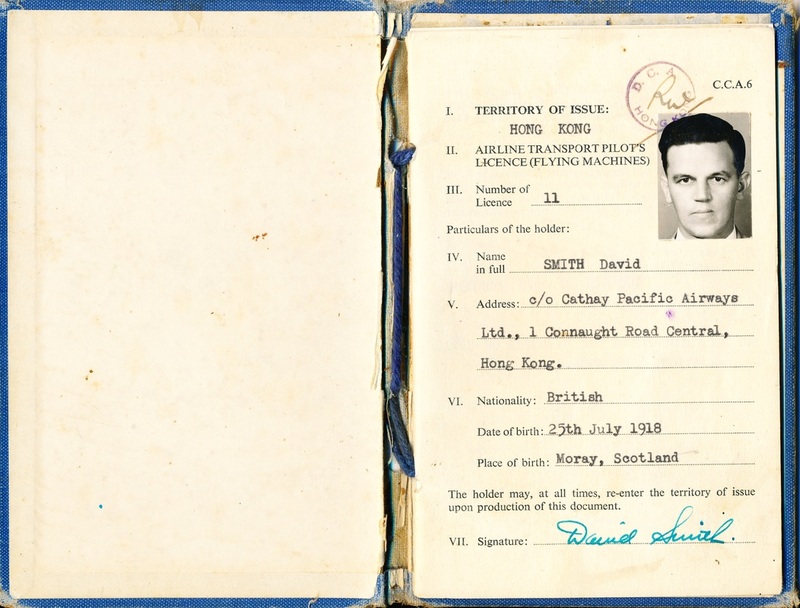 He immediately leased his rights to Cathay Pacific. The Maharaja of Faridkot's plush DC-3 'The Director'. 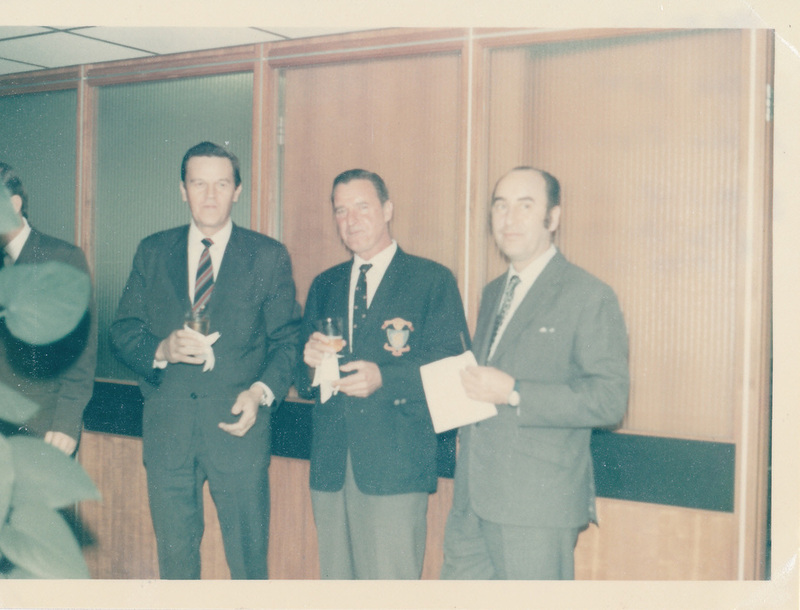 From top: Koki Thacker (India Rep.), Captain Dave Smith, Captain John Dalrymple and G/E Brian Jones. 'Yet, Ne Win had set another condition. I must resign from Cathay Pacific and become full time General Manager of Air Burma. This, fortunately, was an easy decision to make for Butterfield & Swire began to take an active role in running Cathay Pacific. They had become disillusioned with de Kantzow’s casual methods. 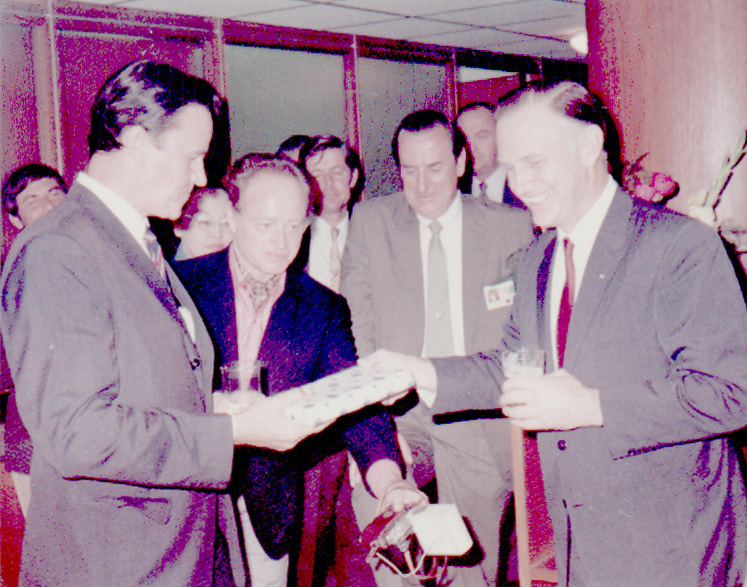 Yet, of more personal importance, Ivan Holyman of Australian National Airways had gained control of technical matters. profitable one to boot. I took the general managership of Air Burma. We gained the expertise to buy direct and future planes were bought in India. The gem of DC-3’s came from the Maharaja of Faridkot (Punjab) He sold ‘The Directorship’ for a song. This luxurious plane had a master bedroom, a lounge and a well-appointed office. She carried the registration of VR-DAY. Captain Dave Smith was a member of the ferry crew. 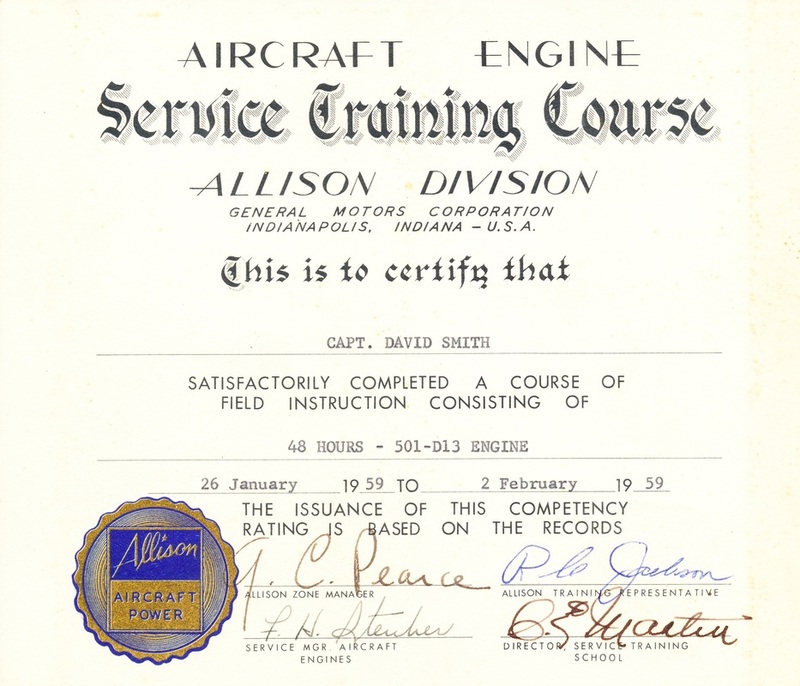 She arrived at Mingaladon on 20 February 1950 and began earning her keep as XY-ACG. It became our VIP plane and frequently carried the country’s strong man General Ne Win. 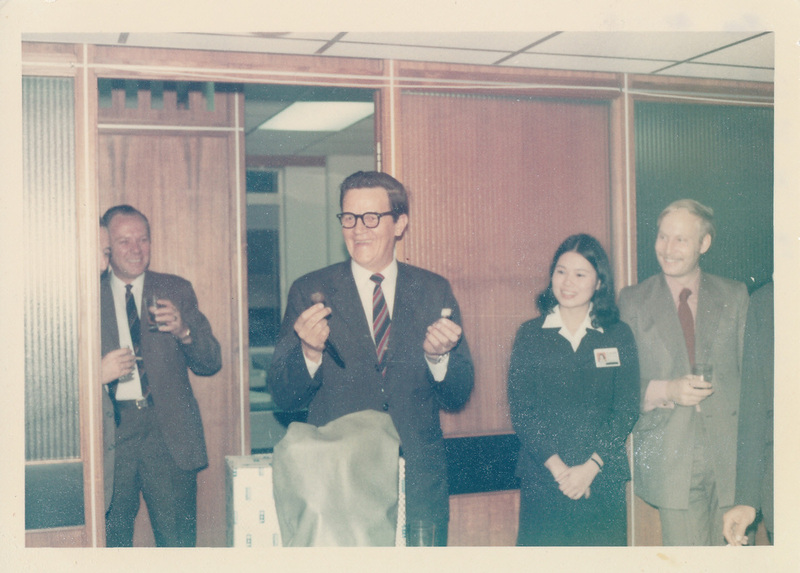 Dave Smith, as you recall, went on to become Cathay Pacific’s first Operation’s Director. My choice of Captain Jim Harper was a bad one. 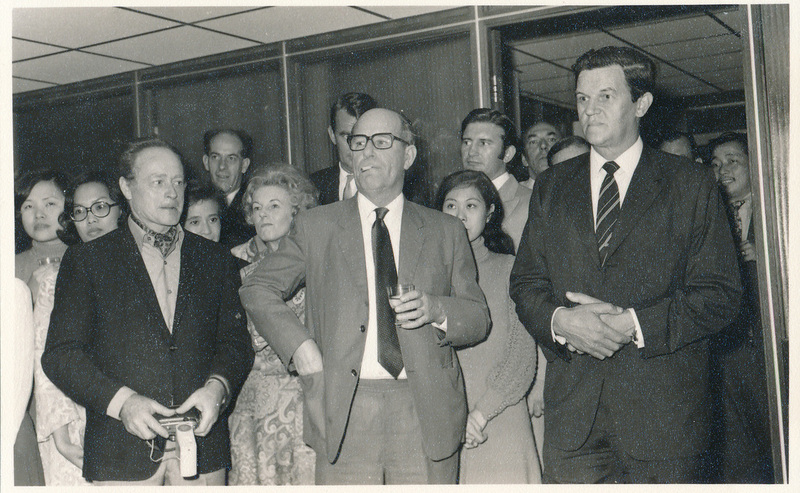 Harper would go to Hong Kong at the drop of a hat where he fell under the control of de Kantzow. I found my mind questioning his loyalty to Air Burma. Yet, I could not bring myself to fire this brilliant airman. On the way to Anisakan the rebels shot him. 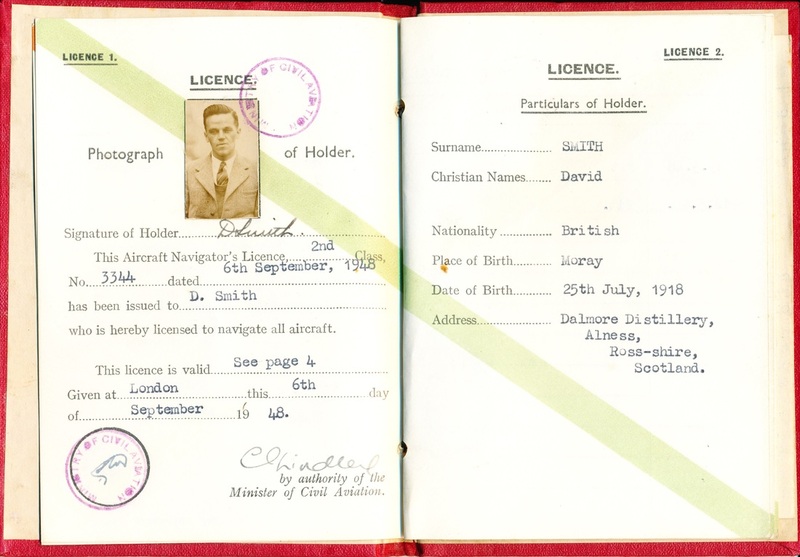 This solved my problem – I replaced him with Captain Maurice Lothian. 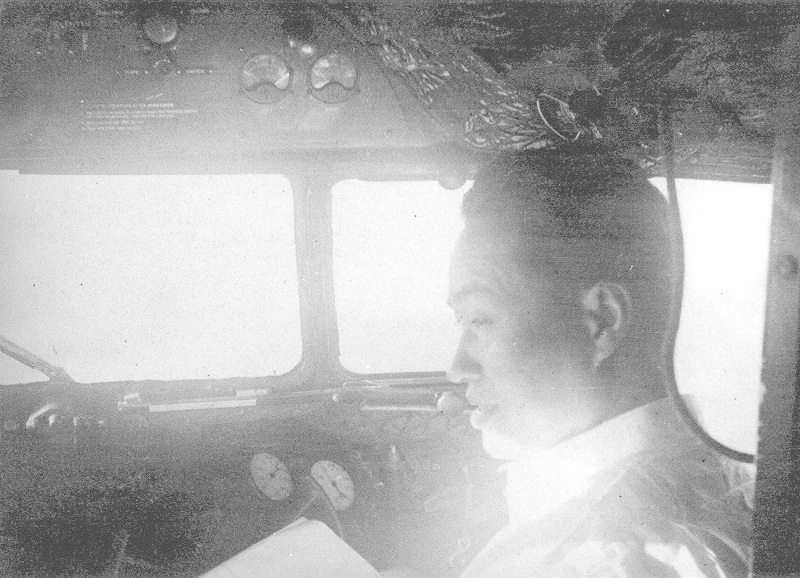 General (later President) Thado Thiri Thudhamma Ne Win in co-pilot's seat en route to Djakarta. Air Burma's DC-3 XY-ack commanded by Captain Dave Smith. 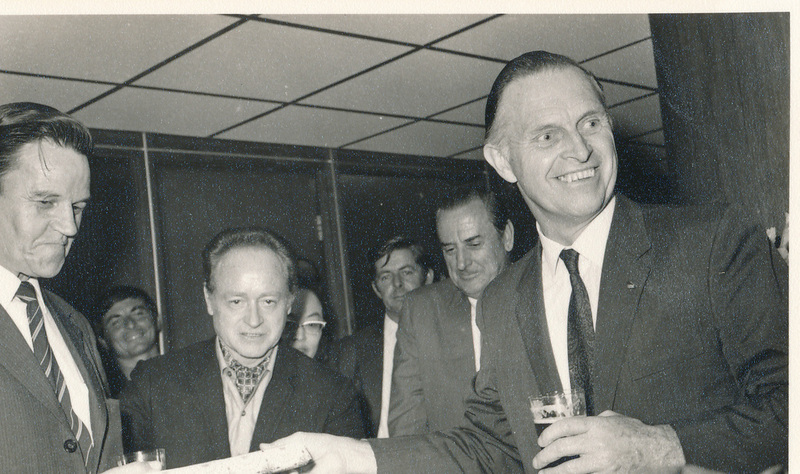 'Air Burma’s proprietor, Jimmy Bo Setkya, started winding up Air Burma. He asked me to find a sale for his aircraft. I explained this type of aircraft had become obsolete, consequently, it could take considerable time to find a buyer. Even then the buyer would expect to name his price. These observations left him devoid of humour. Then I suggested he could approach the War Office with a blanket offer of all planes and spares at a realistic price. His selling ploy was to work on the vanity of the General. Think of the prestige a VIP Wing would bring to the Supreme Commander of Burma’s Defence Forces! Shortly afterwards Harry returned to Australia. 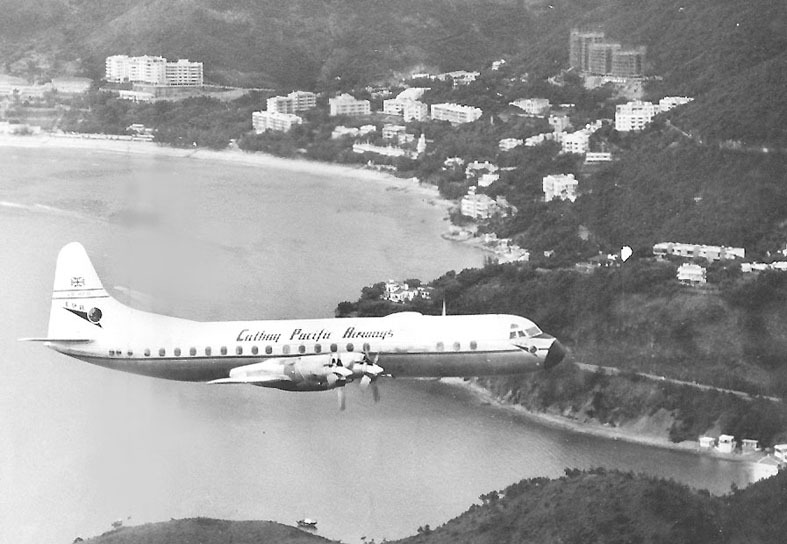 Cathay’s replacement DC-4 Skymaster VR-HFF came on the Hong Kong Aircraft Register on 11 August 1954. She took over the duties of the murdered VR-HEU, and the heroic deeds of Captain Phil Blown and his crew had won the admiration of the travelling public. 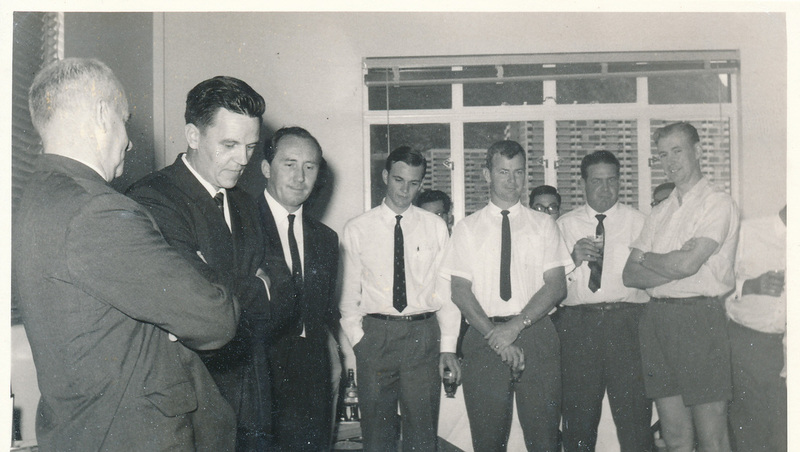 VR-HFF at Mingaladon, Rangoon - October 1954 - Captain Dave Smith at left of photo. 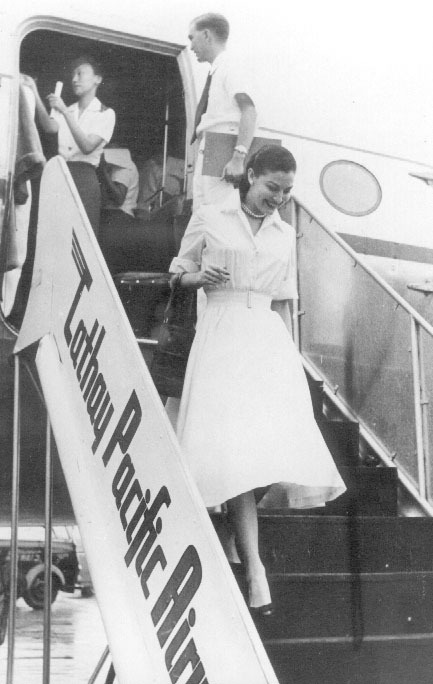 One of the world’s most beautiful women joined the Skymaster flight from Hong Kong to Singapore in December 1954. Miss Ava Gardner had spent a week in the Colony publicising her new picture Barefoot Contessa. As Captain Dave Smith approached Singapore’s Kallang Airport one of the worst rainstorms in years dumped fourteen inches of water that flooded it. 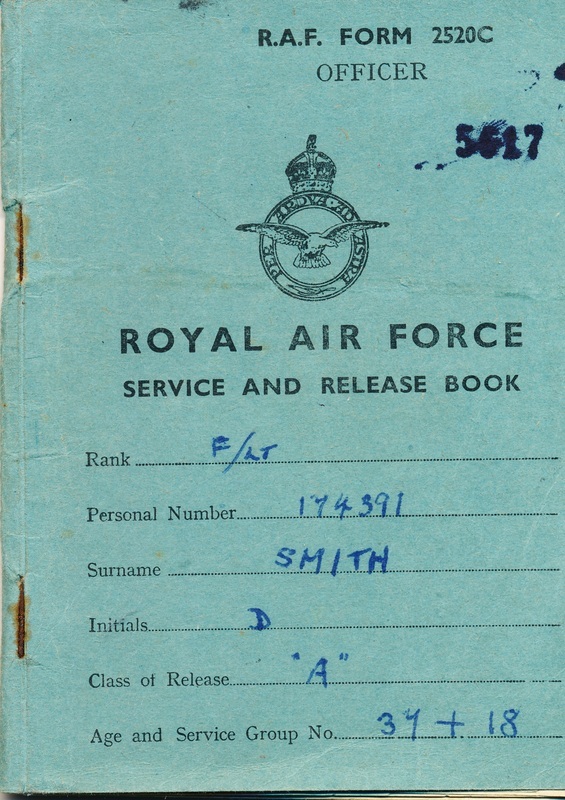 This forced him to divert to the RAF station at Butterworth some 500 miles to the north. male publicity managers. By the time they arrived at Butterworth they had consumed ten bottles. Installed in the Station Commander’s quarters, Miss Gardner discovered that someone had stolen her shoes, and sent her sister to the plane for another pair. 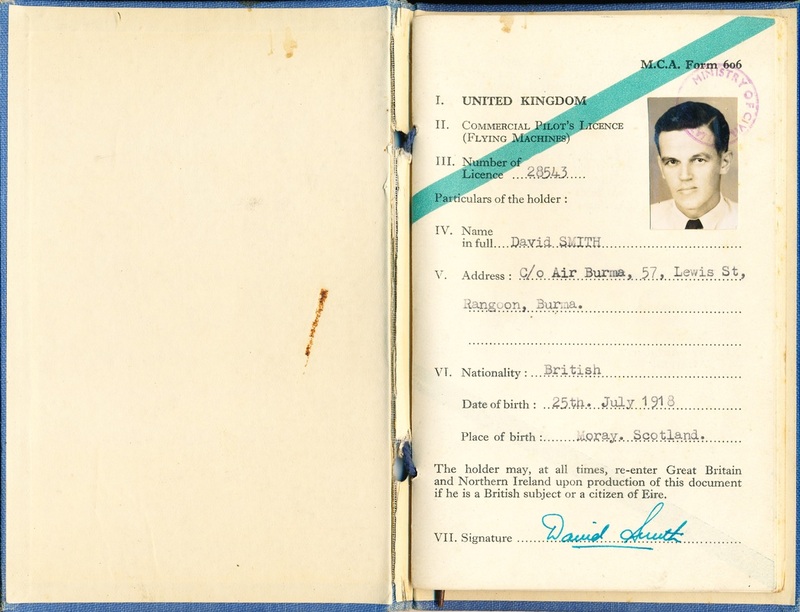 Dave Smith detailed Mum as her squire. She must have checked through a dozen cases before we found the required pair, Mum said, but to make sure we took about a dozen pairs, for her sister told me Ava often changed her mind. It seemed an exorbitant number of shoes for someone making a fortune portraying a girl who refused to don footwear! Right: The Barefoot Contessa steps out of character and arrives in Singapore wearing shoes. 10 December 1954.
fully reclining sleepers that best suited its route structure. Cruising the outlying islands of the Colony. Dave Smith at far right. 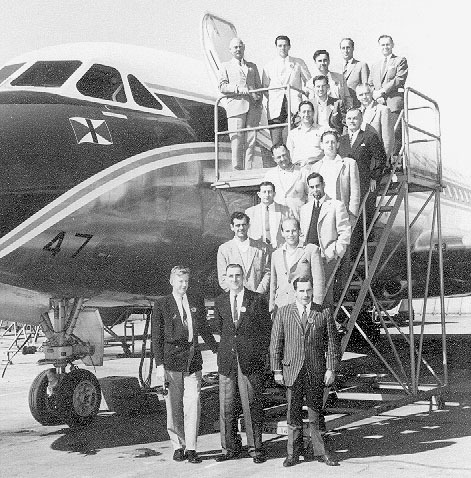 Cathay Pacific group photo taken before the new Convair 880-22M jet left California. 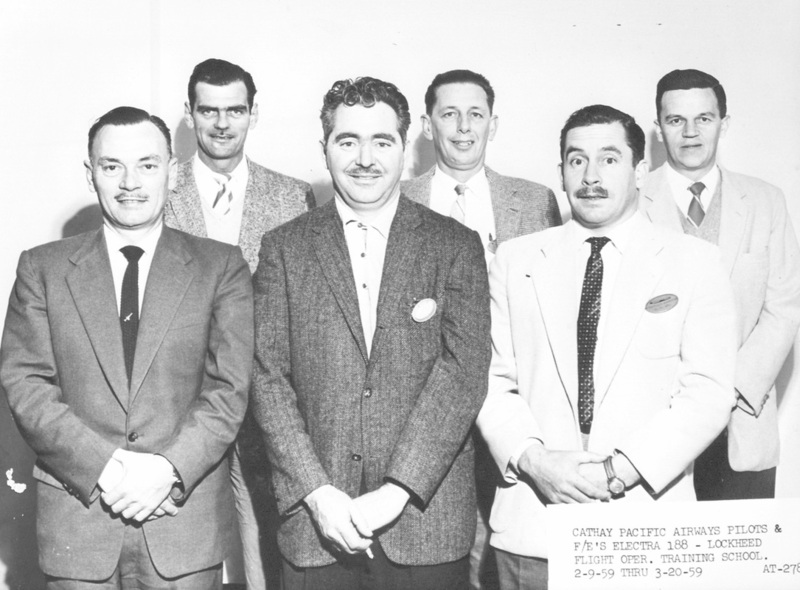 Back Row L to R: Captain Dave Smith, Mr Tom Laughlin ferry flight Navigator, Mr Edward Sullivan (Cathay Pacific's active Sales Representative in the USA), F/E W.B.A. 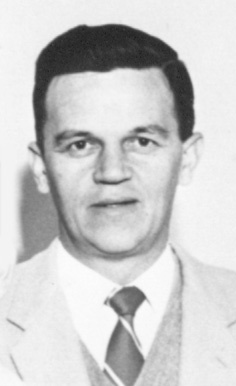 Holyman, Sen F/O J.H.S. Greenwood, Sen F/O R.C.Hardwick, Chief F/E R.J.Smith and Mr D.S.Delaney, Assistant Chief Engineer. Front Row L to R: Captain A.B. 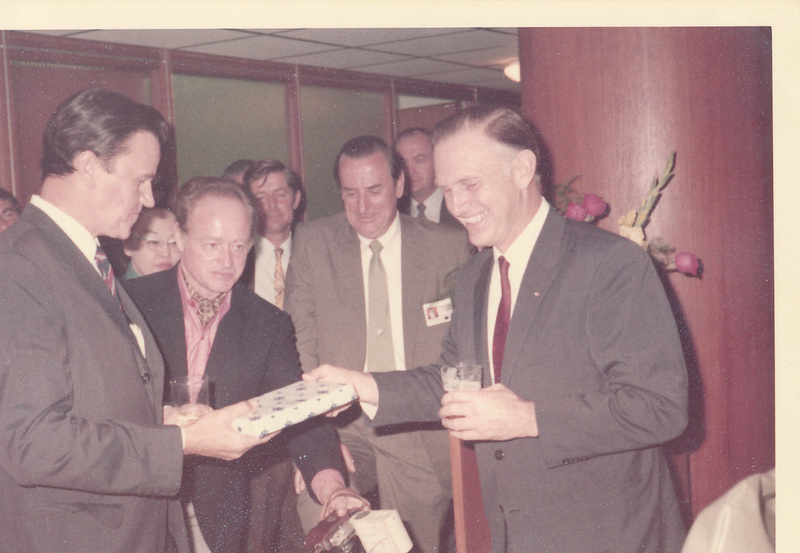 Armstrong, Mr D. Kemphaus, CPA's San Francisco Salesman, a token CARE package, Captain Norm Marsh and Sen F/O C.K.Bushe. 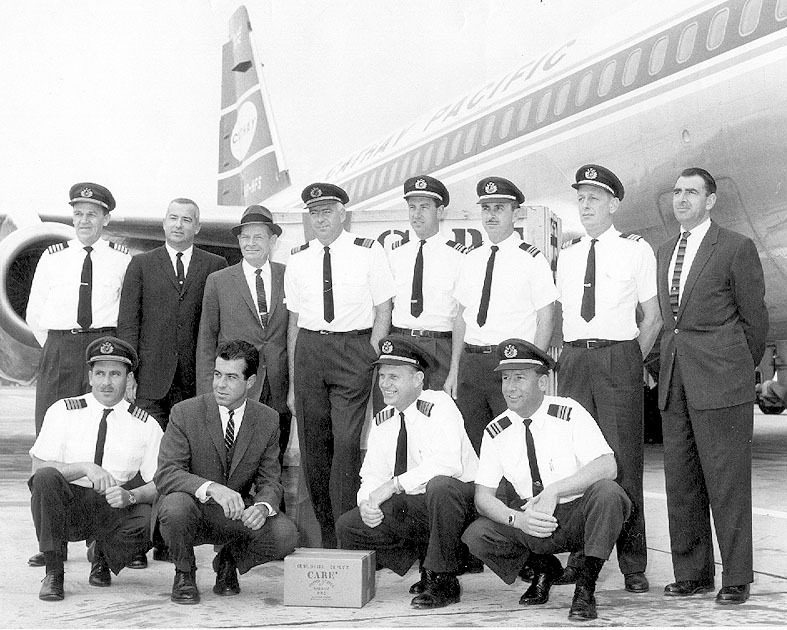 On 15 March 1962 a group of senior flight personnel posed on the steps of our latest acquisition. 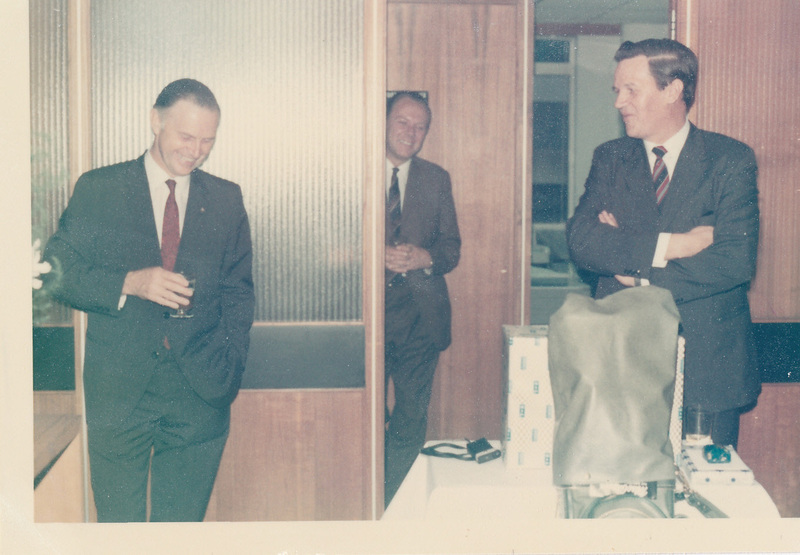 Their smiling faces showed their urge to get to grips with the intricacies of Convair’s pure jet - the sleek 880M-22B. A fortnight later the operative crew posed with VR-HFS just before departing from San Diego, California. On Monday 2 April, our Flight Superintendent, Captain Dave Smith skimmed her onto Kai Tak Airport. They returned bearing gifts – $US2,400 of woodworking machinery for the Colony’s self-help programme CARE. 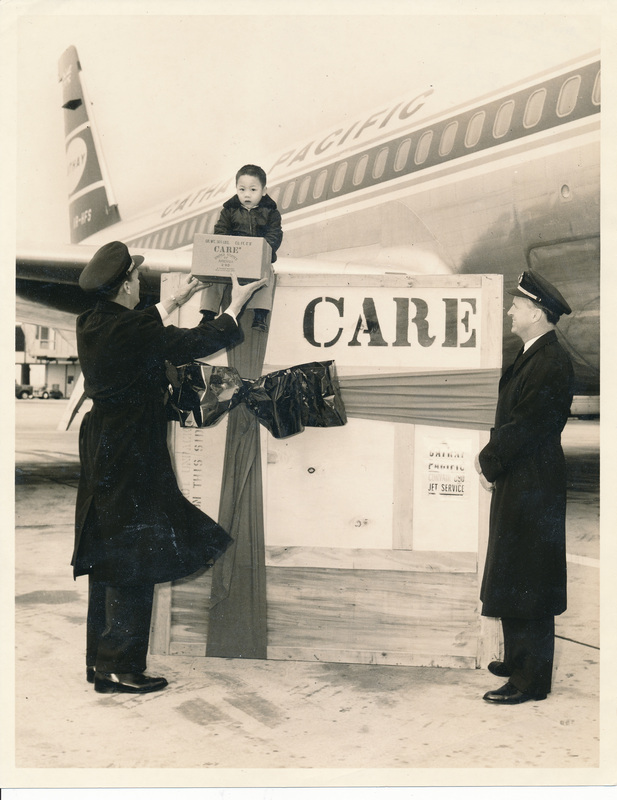 The gift of this complete workshop came from theAmerican people and was carried without cost by Cathay. 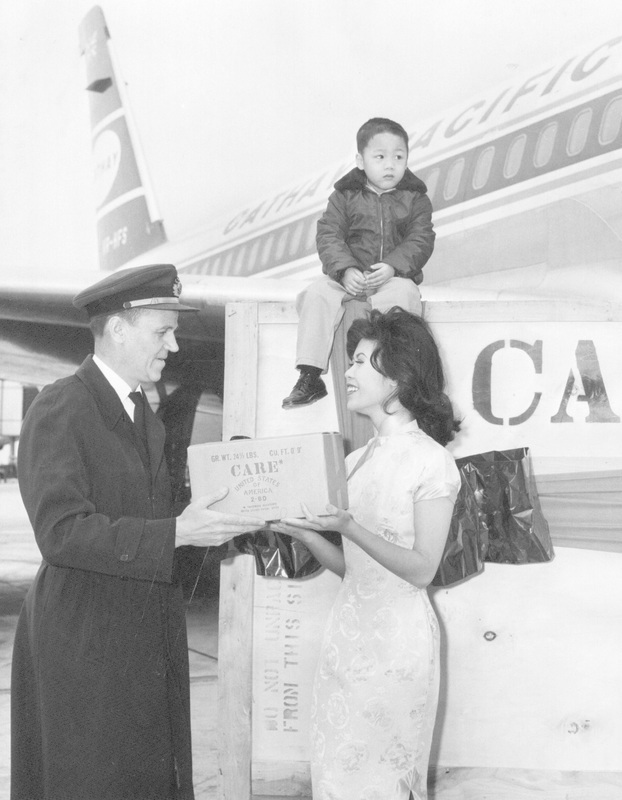 Captain Dave Smith hands a token CARE packet to Cathay's popular Air Hostess Nancy Chan. 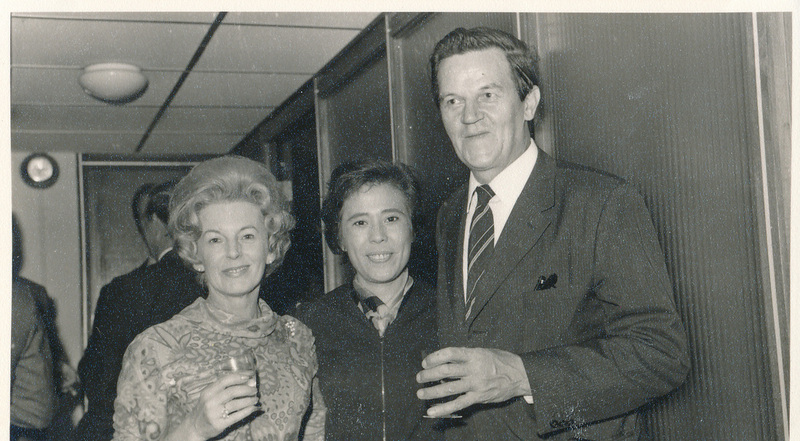 Nancy would marry the only WW2 Luftwaffe pilot Cathay Pacific ever employed - Captain Dan Holeczy. 15 March I962 Cathay Pacific’s First Convair 880-22M VR -HFS at the General Dynamics Division, San Diego, USA. 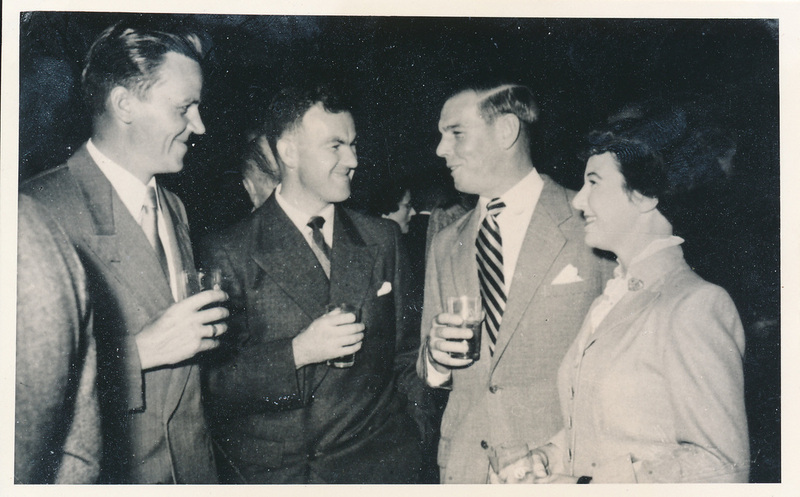 L. to R. starting from front: F/O Peter Stockell, Capt. 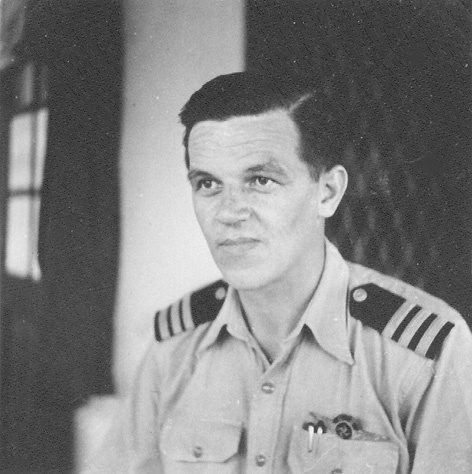 Geoff Leslie, Capt. Pat Armstrong F/E Len Weston. F/O Chris Bushe, F/E Jack White, F/E Stan Pain, Capt. 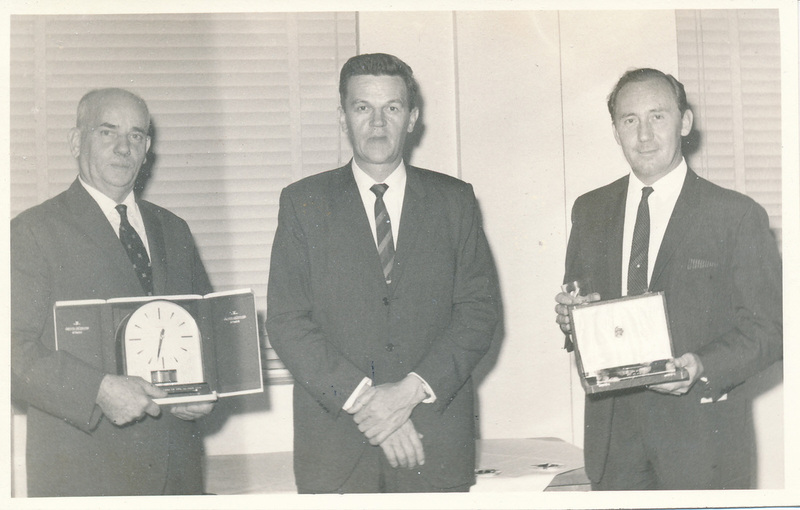 Lawrie King, F/E Bob Smith, F/E Don Brown, Capt. 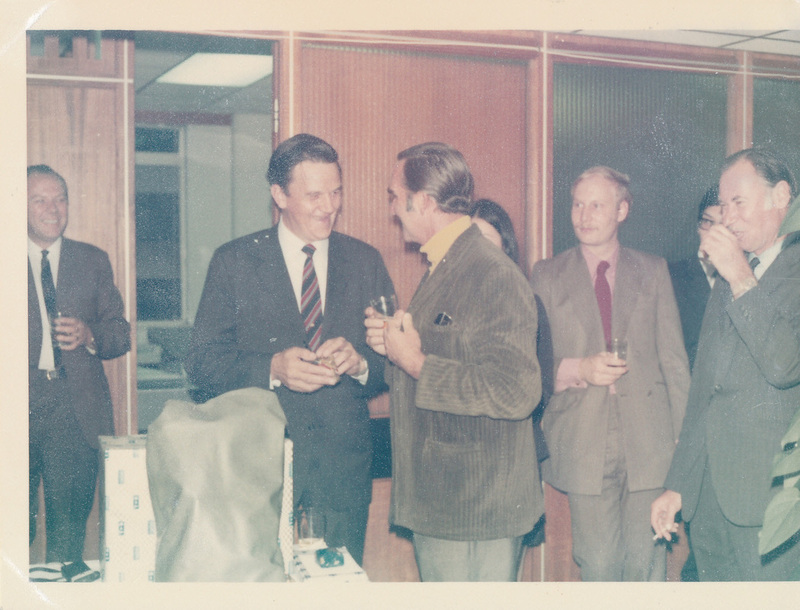 Phil Blown, F/O Julian Greenwood, F/E Bruce Holyman, Capt. 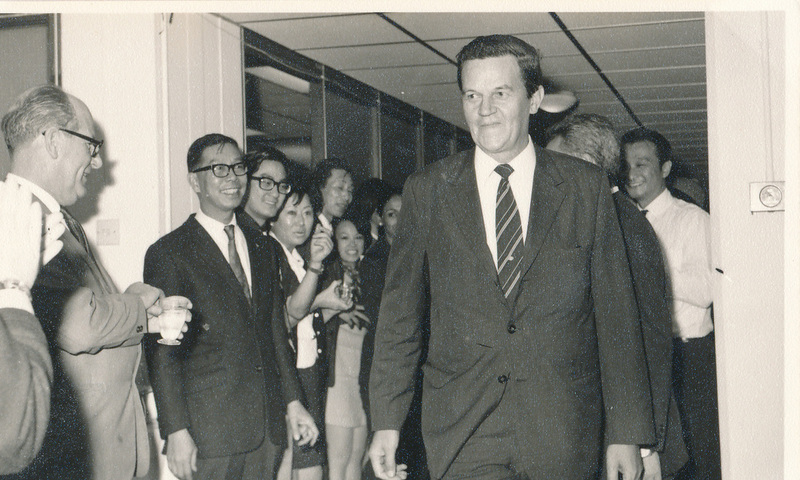 John Carrington, Capt. 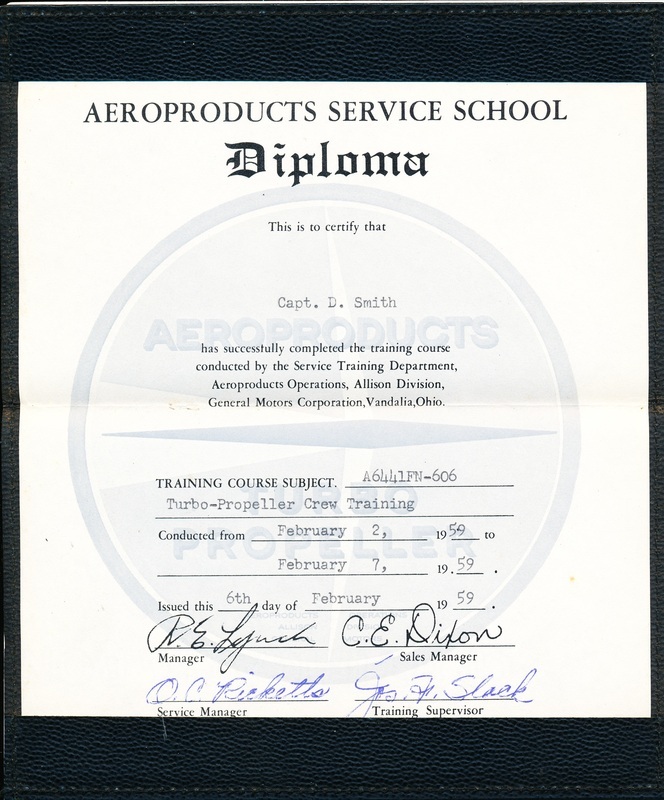 Dave Smith, F/O Ron Hardwick, F/O Stuart McQuilkin, and Capt. Norm Marsh. 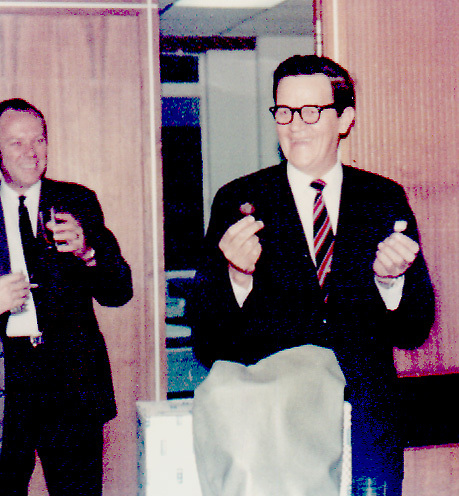 29.7.1965 Jim Hargraves (left), Dave Smith (centre) at Dan Holeczy's (at right) co-retirement sendoff. 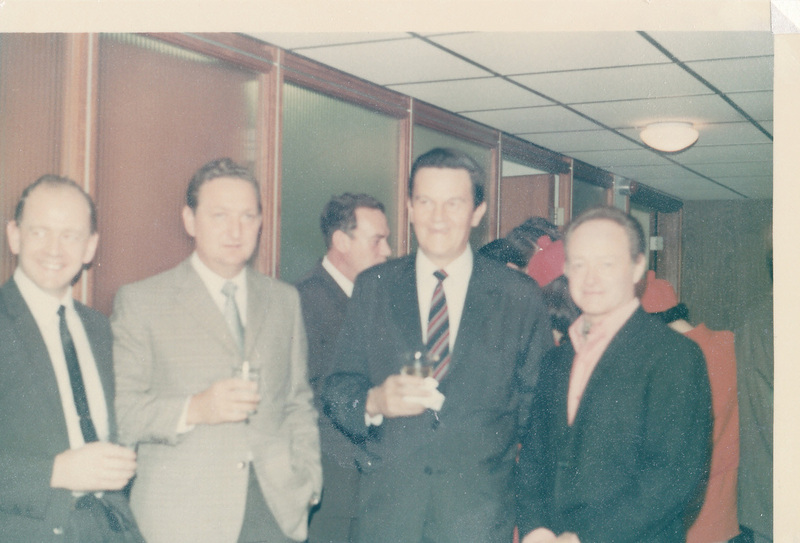 29.7.1965 Jim Hargraves (left), Dave Smith (centre) at Dan Holeczy's (at right) co- retirement sendoff. Captain Dave Smith receives momenta from the new Operations Director Captain Norm Marsh. Dave Smith, keeping a proprietorial elbow on his new golf clubs, jokes about his mink tees. He felt they were ideal to keep his balls warm. 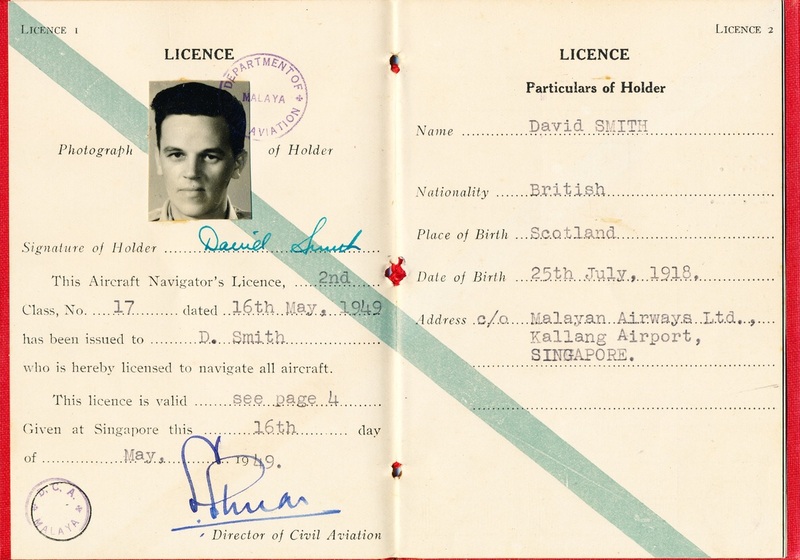 Dave Smith's page with kind permission from his wife, Lorna. These and other more detailed log book documents will soon be stored in the Swire Archives.